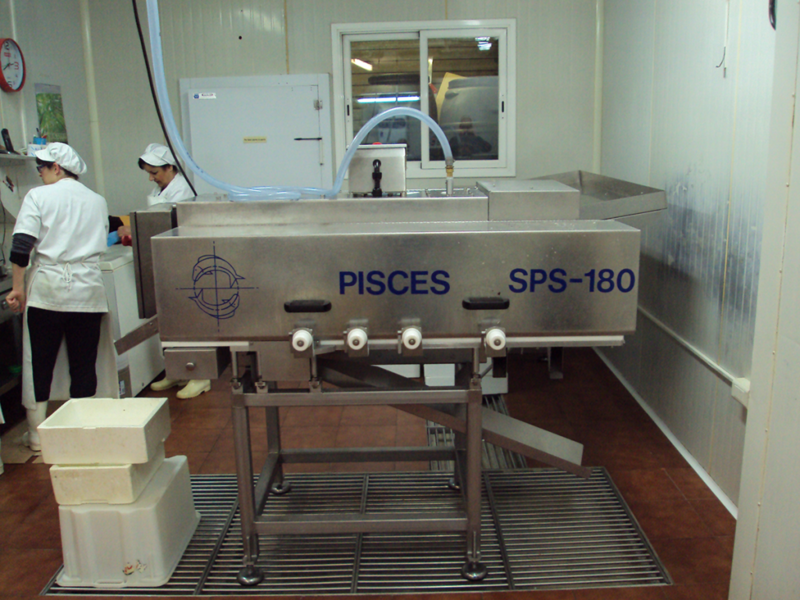 Pisces has been manufacturing filleting machines since its inception in 1984. The range has been developed over time with input from our customers. The introduction in 1993 of Pisces’s unique six blade backbone removal system, allows for the range of filleting machines to efficiently process fish from 85g to 10 kg. The addition of the PLC to the rib removal area has allowed for the user to decide the level of trim and belly fat left on the fillet. A stand-alone filleting machine for production of Butterfly fillets from head off fish in the size range 300 to 650 grams. 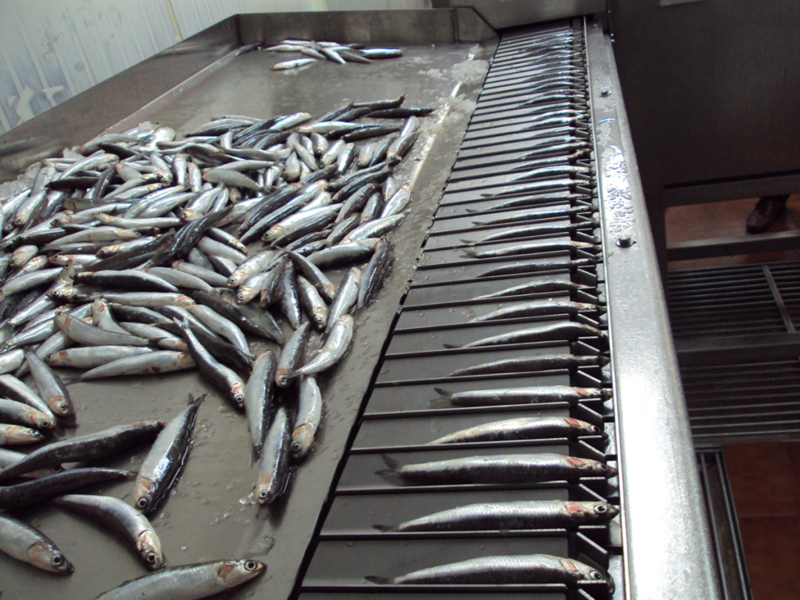 Operates at speed s up to 60 fish per minute and can be supplied with components to produce single fillets. 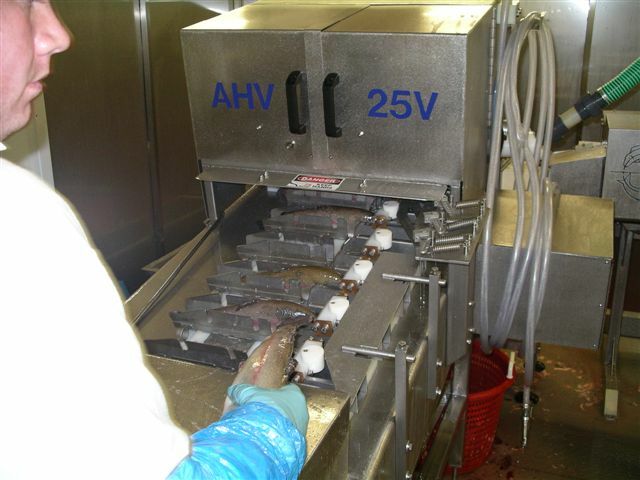 A stand-alone filleting machine for head off fish gutted with the belly open. Suitable for fish in the size range 500 grams to 1 Kgs at speeds up to 40 fish per minute. 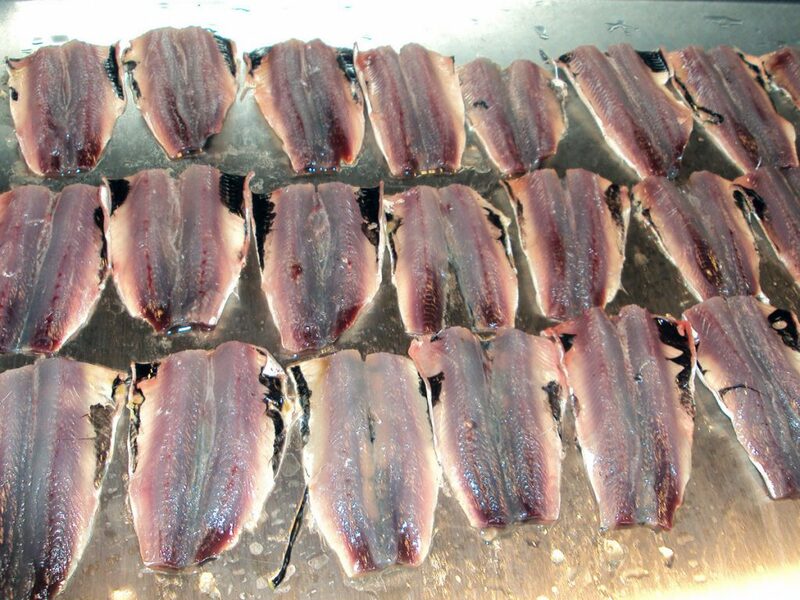 A stand-alone filleting machine for head off fish in the size range 85 grams to 450 grams. The FR 150 incorporates an evisceration system and operates at speeds up to 50 fish per minute. Often used in conjunction with the HS-10 Head cutting machine. 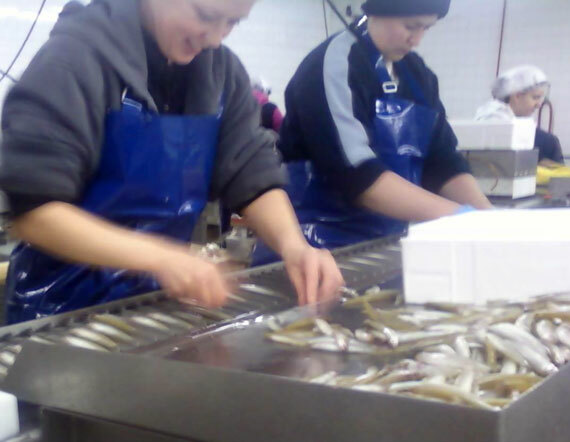 A stand-alone filleting machine for head off fish in the size range 500 grams to 1 Kgs. The FR 200 incorporates a gutting system and operates at speeds up to 40 fish per minute. Often used in conjunction with the HV 25 Head cutting machine. A stand-alone filleting machine for head off trout for from 1kg to 3.5kg. Like the FR-200 the FR-3500 incorporates a gutting system in the machine. The FR-3500 uses Pisces 6 blade backbone removal system and PLC controlled rib removal. 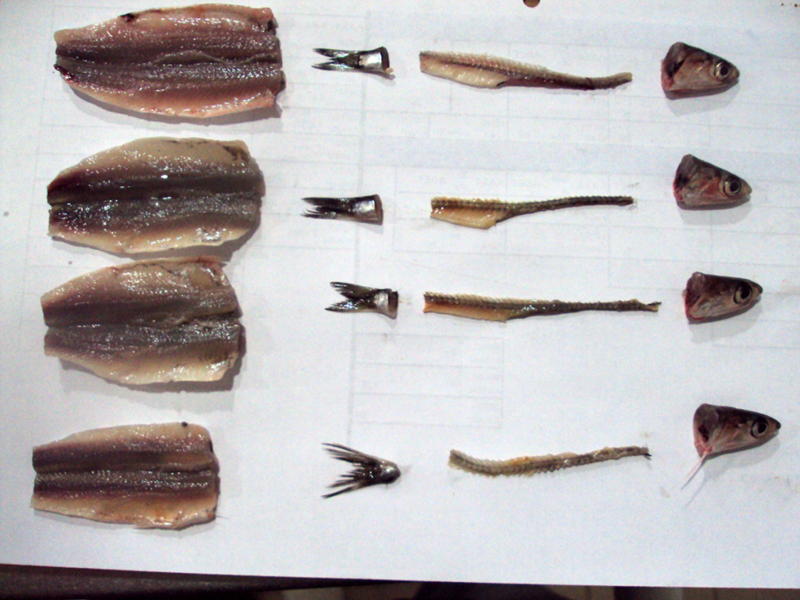 This provides higher yields on a trout I larger than 1kg. The PLC controlled rib system give the option of removing the white belly fat from the fillets. 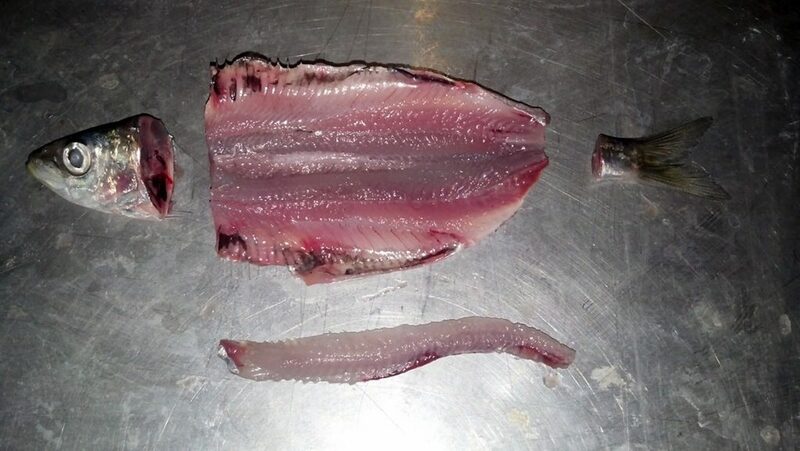 The FR-9000 produce a rib and backbone free fillet from a headed dressed fish. The machine use Pisces extremely efficient six blade system to remove the backbone. Then the ribs are removed by a PLC controlled system. The PLC allow for easy change over from different sizes and trim levels. The machine runs at up to 25 fish per minute with one operator. 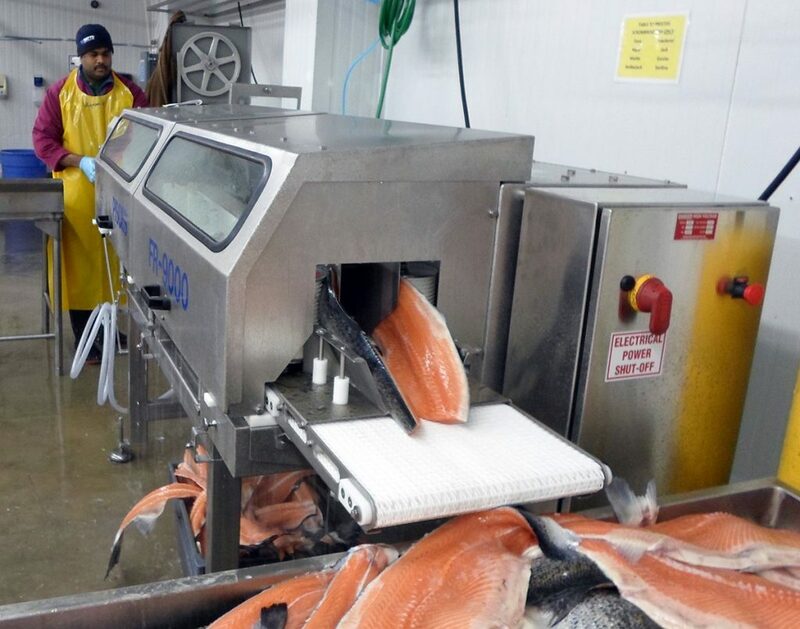 The machine can fillet Salmon from 1.5 kg to 10 kg. The servo blade adjustment option allows for the dorsal blades to be adjusted by the PLC base on individual fish measurements. A stand alone filleting machine, for production of butterfly fillets from head off fish in the size range 300 to 650 grams. 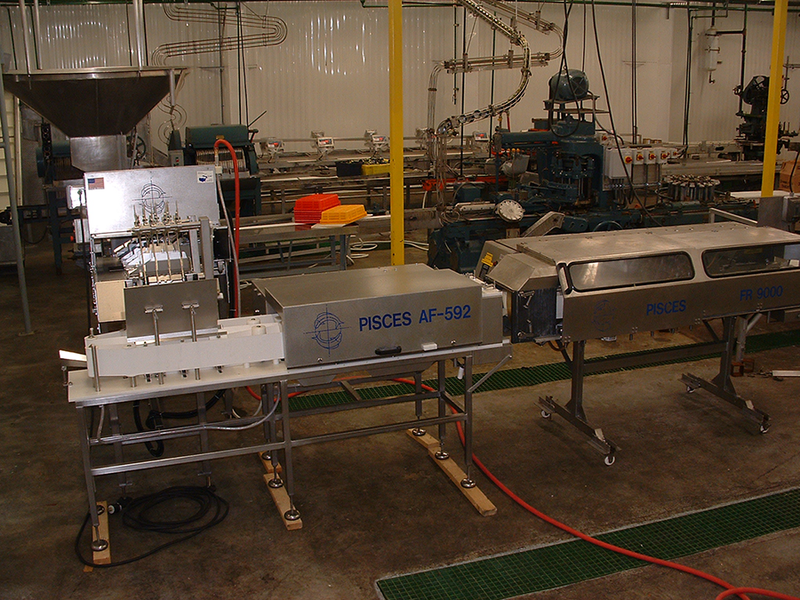 Operates at speeds up to 60 fish per minute and can be supplied with components to produce single fillets. A combination unit comprising the PN 400 nobbing machine for head removal, feeding directly to the FB 181 filleting unit. This is a high speed unit with a straight head cut, operating at up to 120 pieces per minute. For the production of ribs in Fillets from a wide variety of species in the size range 2 Lb (1 Kg) to 15 lb (7 Kg) depending on species. 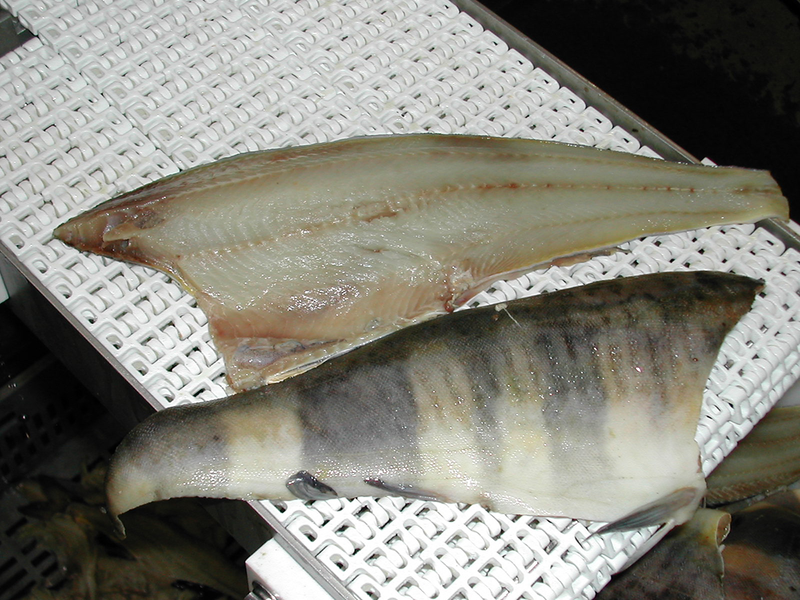 Species handling capability includes Grouper, Snapper, Corvina, Cods and Haddock.